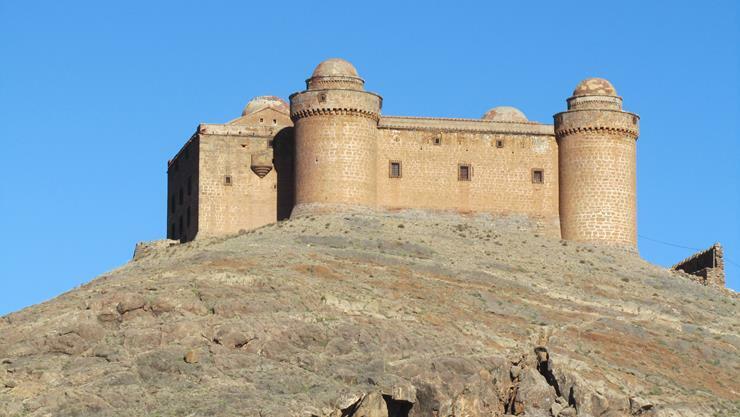 This part of Southern Spain is littered with castles many built between the 8th and 15th centuries by the then ruling Moors from North Africa. The Spanish Catholics finally wrested rule back by 1492 when they retook control of Granada conquering the famous Alhambra. The Islamic North African influence is clearly visible in the architecture. Most if not all the castles are open to the public and have additional displays so are well worth a visit. 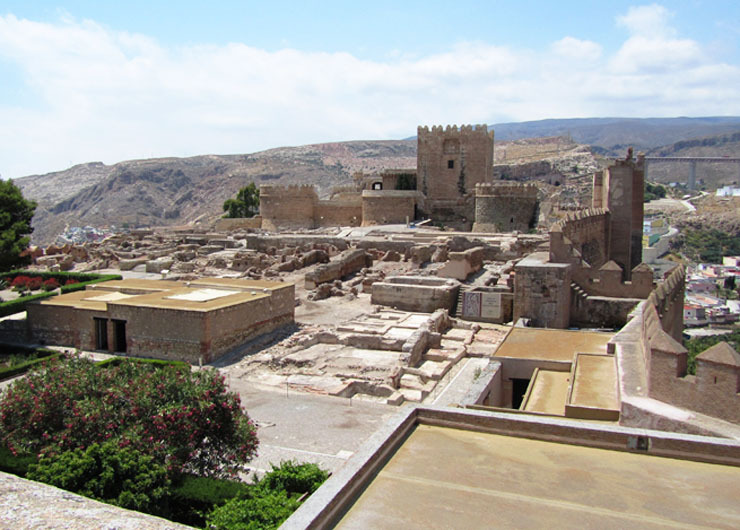 The second larget alcazar, which was Arabic for fortress (al-qasar) is the Alcazabar of Almeria (above). 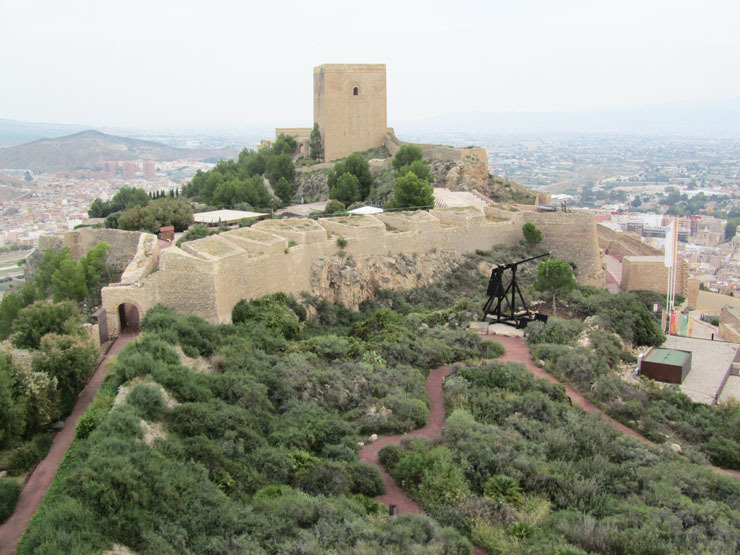 Perched high on a hill the Alcazabar can be found in the old part of Almeria near the docks. Construction started in the late 10th Century and with the main fortress being added to well in to the 11th Century. In keeping with the nearby film studios in the Tabernas Desert the Alcazabar has been used in such films as Conan the Barbarian, Indiana Jones and the Last Crusade and Never Say Never Again. 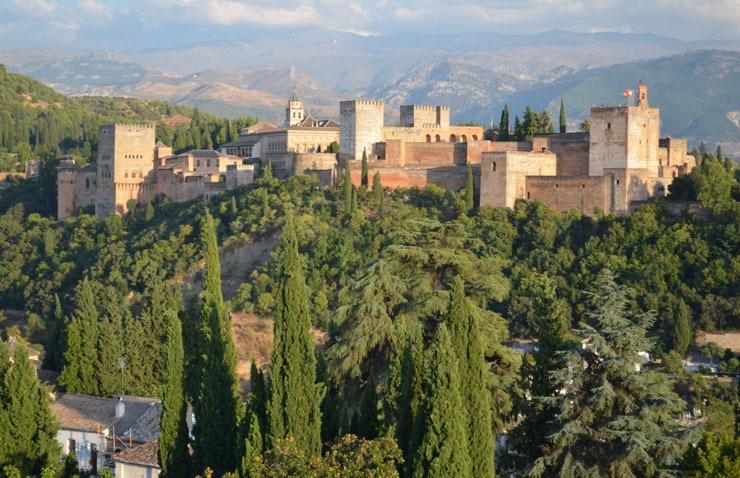 Perhaps the most famous of the former Muslim strongholds of Andalucia is the Alhmabra in Granada (above). Although quite a drive from the apartment its worth a visit if you can find the time. Only half an hour up the motorway towards Mucria you'll find the Fortreza del Sol at Lorca (above) built in the 13th Century. Much restoration work has been carried since the it was badly damaged in the eqrthquake of 2009 but it is open to the public once again. If you don't have time for a trip all the way to Granada then it's worth conbining a trip to Guadix to see the cave houses with a stop off at La Calahorra just a few miles before Guadix. 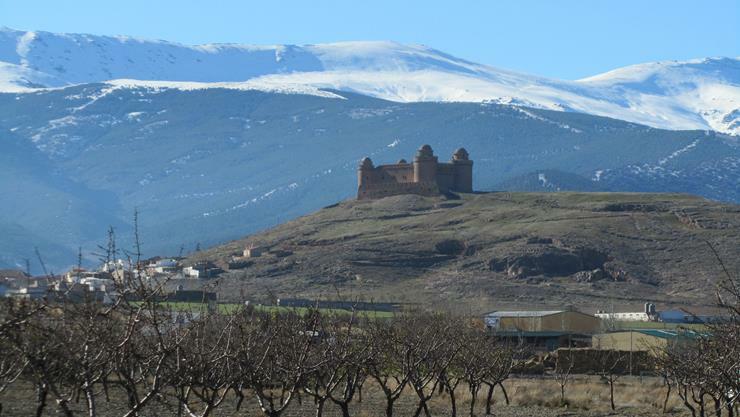 Castillo de La Calahorra (above and below) is one of Andalucia's most emblematic and unusual fortresses. Built between 1509 and 1512 on the site of a former Moorish fortification it is one of the first Italian Renaissance castles outside Italy and the first in Andalucia displaying these architectural features. 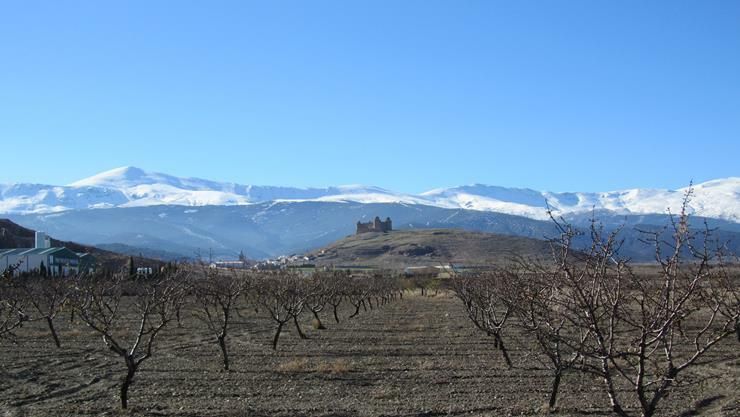 Standing majestically over the village of La Calahorra and the plateau of the Marquesado in the northern foothills of the Sierra Nevada. Castillo de La Calahorra, despite its somewhat featureless exterior has interior features that boast a somewhat lavish Renaissance colonnaded courtyard delicately crafted from marble, exactly what you'd expect of the Italian Renaissance even if it is in Spain.